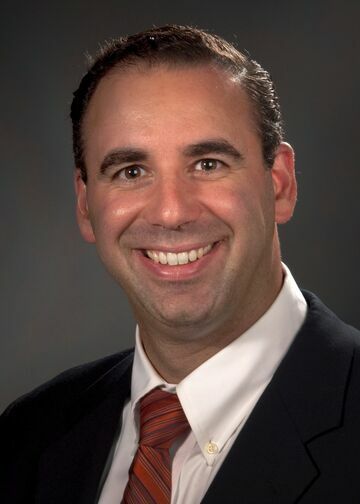 Jose M. Prince, MD, is the director of the Laboratory of Pediatric Injury and Inflammation in The Feinstein Institute’s Center for Immunology and Inflammation. As a practicing pediatric surgeon, Dr. Prince focuses on translational research directed to understanding and regulating the injury response of children. A native of Queens, NY, Dr. Prince was recruited to return from the University of Pittsburgh Medical Center to join the founding faculty of the Zucker School of Medicine in 2010. He completed both his general surgery and pediatric surgery training in Pittsburgh. In addition, Dr. Prince completed a 3 year post-doctoral research fellowship at the University of Pittsburgh with Dr. Timothy Billiar studying the innate immune response to injury. Dr. Prince attended Yale University School of Medicine. While there, Dr. Prince was awarded a Howard Hughes Medical Institute Research Fellowship which he completed at the National Institutes of Health under the guidance of Dr. John Hanover in the National Institute of Diabetes and Digestive and Kidney Diseases. Dr. Prince is a member of various international and national societies, including the American College of Surgeons, American Academy of Pediatrics, American Pediatric Surgical Association, Shock Society, Surgical Infection Society, Association for Academic Surgery, International Pediatric Endosurgery Group, Society of American Gastrointestinal and Endoscopic Surgeons and the New York Surgical Society. Dr. Prince serves as a guest reviewer for a number of scientific publications, including Tissue Engineering , American Journal of Physiology-Heart and Circulatory Physiology, Molecular Medicine, American Journal of Physiology-Gastrointestinal and Liver Physiology, Journal of Surgical Research, Surgical Infection, Surgical Endoscopy, and Journal of Pediatric Surgery Case Reports. In addition, Dr. Prince is a mentor for postdoctoral fellows, graduate students, and undergraduate students within his lab. Dr. Prince has authored over 25 articles in peer-reviewed journals. He has published numerous clinical and scientific chapters. View this researcher's publications on PubMed. Infants and children demonstrate a unique inflammatory response to injury. We are dedicated to saving children’s lives by exploring the fundamental mechanisms involved in the immune response to trauma and organ injury. Traumatic injury is the leading cause of death amongst children and young adults in the United States. Our laboratory focuses on the innate immune system response to trauma with the ultimate goal of developing new approaches and therapies to improve the care of injured children. Our over-arching hypothesis is that the mechanisms developed by the body to fight infections are critical to responding to sterile injuries. Our prior work has examined the role of pattern recognition receptors from the innate immune system in recognizing danger signals released by damaged cells. By reproducing cellular stress in vitro and in laboratory models of trauma, we hope to further our understanding of the key mediators, cells, and systems critical to the survival of a traumatic event. Amongst premature children, necrotizing enterocolitis (NEC) is the leading cause of death from intestinal injury. The cause of this devastating condition is unknown and there is currently no effective targeted therapy. A massive inflammatory response results in widespread damage of the intestines with immediate life threatening consequences and long-term damage. Breast milk has been shown to reduce the risks of developing NEC. Our laboratory is focusing on key growth factors present in breast milk which might serve as new therapeutic targets.